Top 100 Books for #Dogs and their People! Wesley Banks, author of the newly-released Faith in Every Footstep, has compiled a list of his Top 100 Dog Books using a complex, dog-eared algorithm of ratings, reviews, and sales (call it Moneyball for Mutts) — and It’s Just A Dog is proud to chew up the #30 slot! Also, Mr. Banks is gifting a bundle of classic dog books this weekend — so check out his giveaway here on his website! Lily and the Octopus $1.99 on #kindle! The dog book of the summer, Lily and the Octopus, is now on sale for $1.99 on Amazon Kindle. Reviews have compared it to The Art of Racing in the Rain and Life of Pi — so if you’re into some good old-fashioned animal magic, you might like this read! Where’d You Go Bernadette book trailer…for dogs? 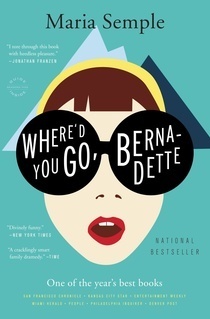 Maria Semple’s Where’d You Go, Bernadette, one of the Best Books of 2012, is now out in paperback — and her original book trailer has a funny bit of her pitching the novel to bookstores and writer friends, including Garth Stein, author of The Art of Racing in the Rain. 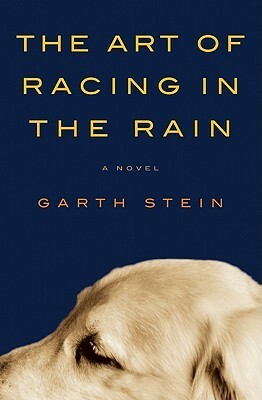 You can watch the full trailer below — or skip directly to the Garth Stein dog book scene here.